The Piggy Squire is all about passion. Passion for local produce and suppliers, passion for flavour and a genuine passion to provide you and your guests with an unforgettable professionally run event. Take a deep breath and inhale the aroma of some of the best barbecue food you'll ever have eaten. Sit back and relax in the knowledge that everything served will be cooked to succulent perfection. Our famous local pig roast is as popular as ever but you can now choose a lamb or beef roast as an option. The ancient art of cooking on a spit has been in use for thousands of years, and with good reason. Once you try one of our expertly prepared roasts you will know why. This technique of cooking ensures that, in the case of pork, this leads to natural flavour and moisture locked inside the most crisp, flaky crackling. The flavour and taste is incomparable to what is generally now known as a roast. Why not treat your guests to the ultimate in gourmet eating, either a stunning pig or lamb roast with all the trimmings or an innovative BBQ tailored to your exact requirement. Your wedding is without doubt the most important day of your life, a day that you want everybody to remember and truly cherish. You can relax and enjoy yourselves, with complete confidence that The Piggy Squire will deliver beyond your wildest expectations. The Piggy Squire is an independent family run caterer. 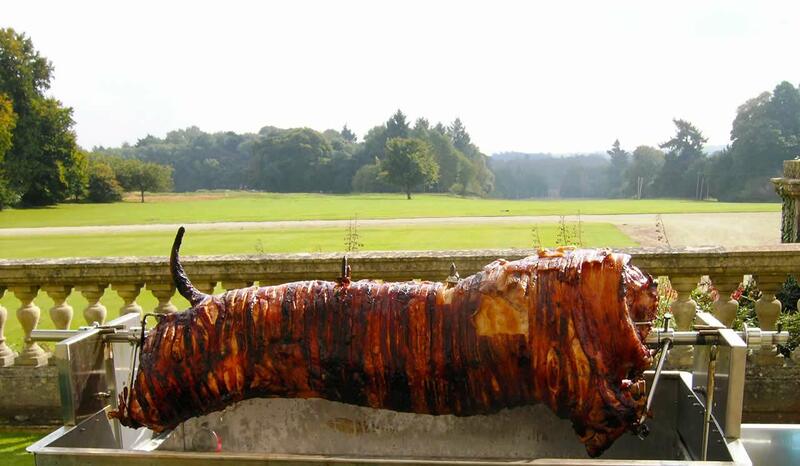 We provide the very best in locally sourced pig & hog roasts, spit-roast lamb and barbecues. Our menus offer traditional, innovative and mouth-watering options, tailored to meet the needs of each individual event. We are the people for you whether you're looking for ultimate four-course wedding breakfast or a traditional hog roast! The Piggy Squire is all about passion. Passion for local produce and suppliers, passion for flavour and a genuine passion to provide you and your guests with an professionally-run event. The theatre of a Piggy Squire event will almost outlive even the memory of the delicious food! The Piggy Squire is based in Bicester, Oxfordshire. Our location gives us access to the best producers and suppliers in the country. We take huge pride in sourcing our produce locally.